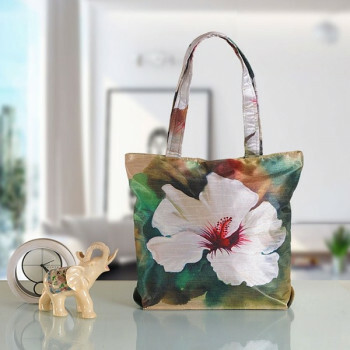 Are you the ultimate nature lover and plus you love shopping, and then these fashion shopping bags are the perfect fashion accessory for you. 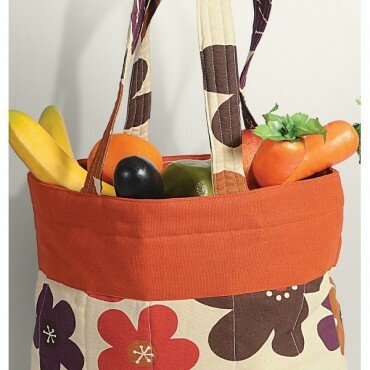 Take these out as you go grocery shopping or simple for a picnic. They have sufficient space to accommodate all your stuff and items. 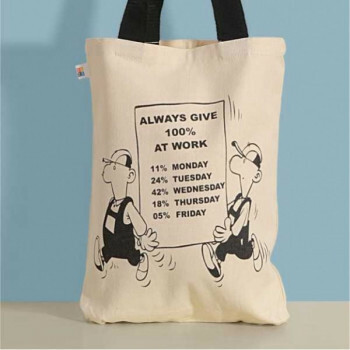 The best part is that these fashion bags assure never to go out of style as long as you swear to use them. 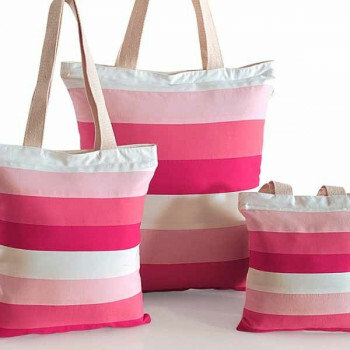 Tired of carrying so many shopping bags as your are out hoping from one store to another, why not go for a bag which is quite spacious to accommodate several items. 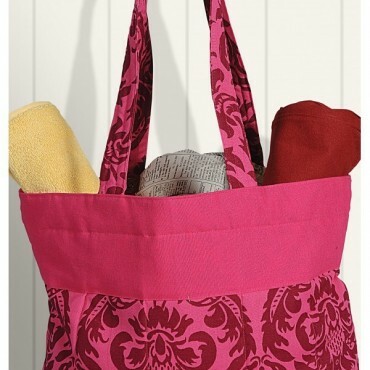 These fashion shopping bags not only come as a savior but also ensure you don’t lose on style for that extra space. 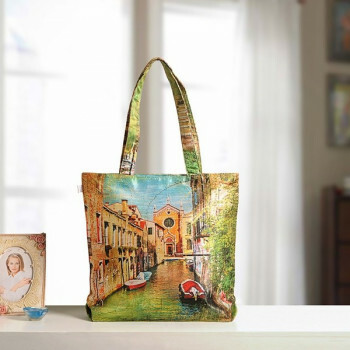 Enjoy the touch and the appeal of these shopping bags, grabbing the attention of any passing onlooker. Be the ultimate It girl as you swing these bags in air and make your way through the crowd. 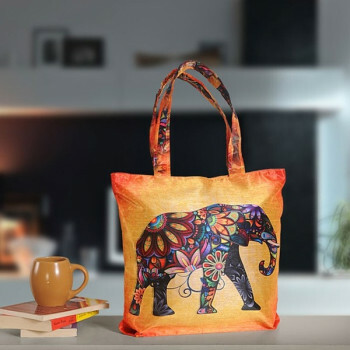 With this trendy fashion shopping bag break the monotony of holding those paper bags, which often get torn in the process of carrying goods to your home. Stay ahead with modern times, as you pledge to boycott plastic bags and do your bit for mother earth. If you thought that fashion was limited to runways and for silver screens and rethinks and rework on your style. 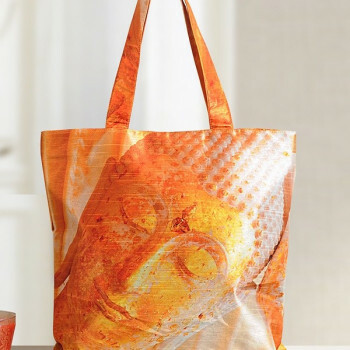 Make a statement anywhere, anyhow irrespective of what the situation is, why not go shopping in the best of clothes along with these fashion shopping bags. Always new Venice was one place where lovers find their sacred sanctity, sided by water canals on all sides. Not to forget the boat rides from one place to another, giving a feel of some water world unknown of any automobile. 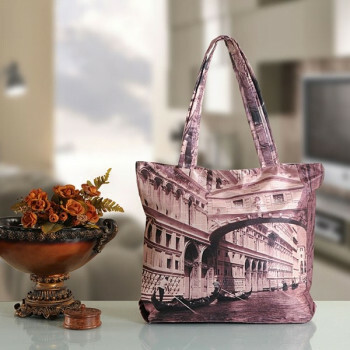 So why not get the surreal feeling on being in Venice right by your side styled to hang around your arm, while you shop. 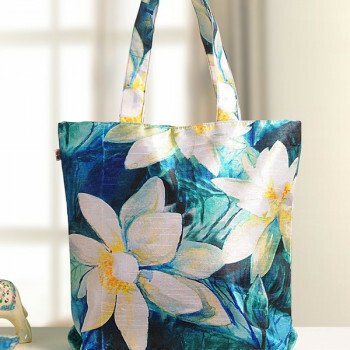 Having the fragrance and beauty of the lily flower, these shopping bags will make you feel pleasant and will fill you with the freshness. 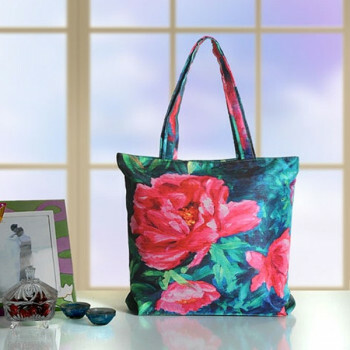 The nature lovers will definitely love these fashionable shopping bags. 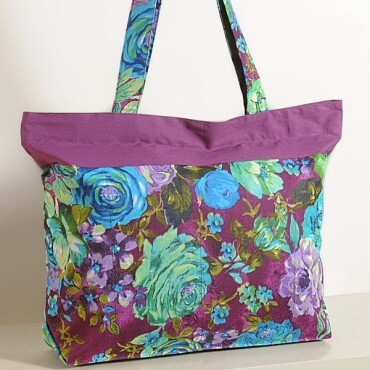 You can take shopping to the next level by sporting our comfortable floral printed shopping bags. Now shop in style even while buying groceries or normal day to day necessities, without losing on the fashion front. 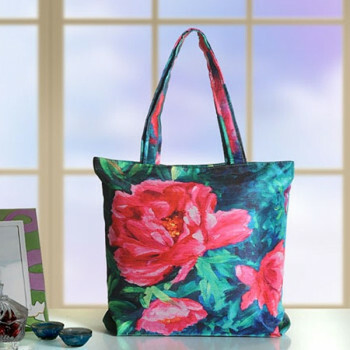 Be a trend setter as you grab these shopping bags and flash your style with grace and panache. 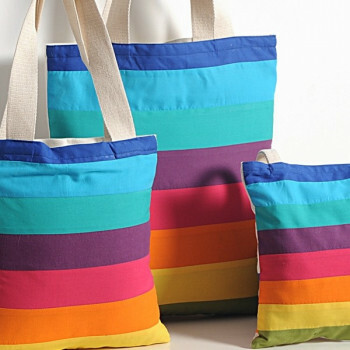 Brighten up your day with the vibrant uplifting colors laid on these bags. Watch how contemporary meets authentic traditional prints dyed in ethnic colors. When you are going out for shopping even for grocery products, you want to look stylish. To meet your desires, bags are designed in the most intricate manner. 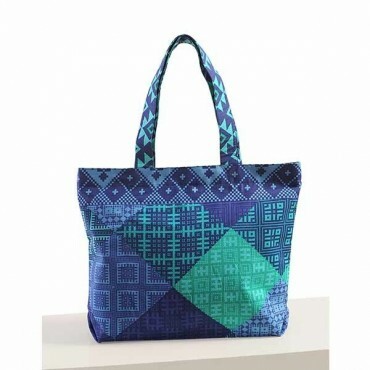 These bags comprise of a unique design which is attained by stitching different fabrics together. 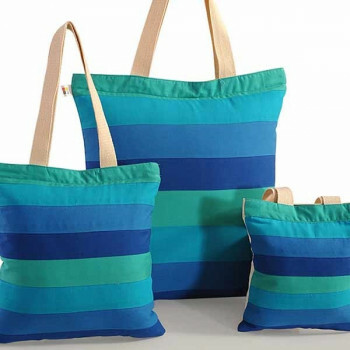 To meet the trend many colors and concept of bags are designed but nothing comes close than these beautiful three in one bags. 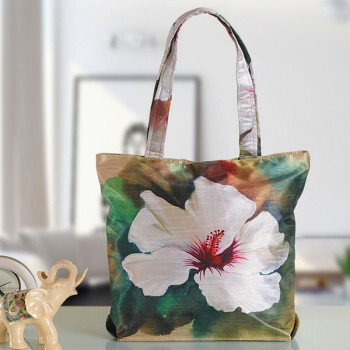 They are marked as they most beautiful bag of the contemporary trend as it comprise of fascinating colors as well as exotic floral design. 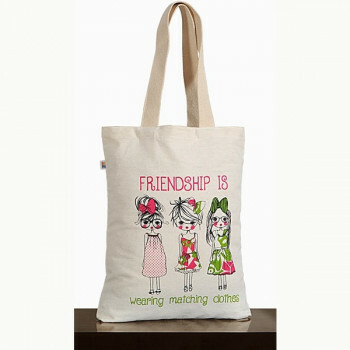 You can also give your outfit an enhancement by carrying these beautiful bags. 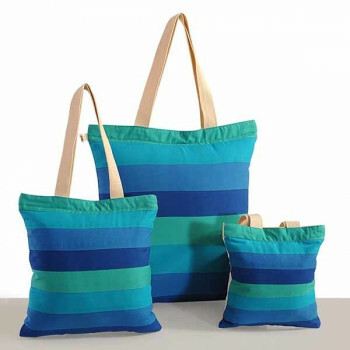 Make your life much easier and the environment safer by carry these amazing bags with you. 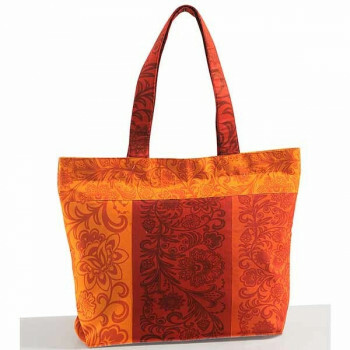 These bags are the best in the class as they are made following international quality standards. All the intricate detains and colors are well-made to attain a brand new look. 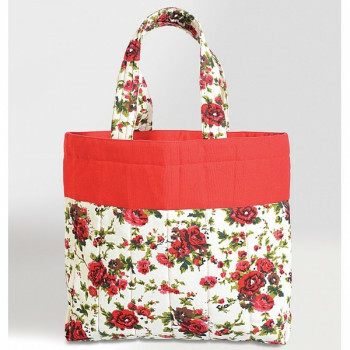 This trend of bags will certainly help you to get your desired style. 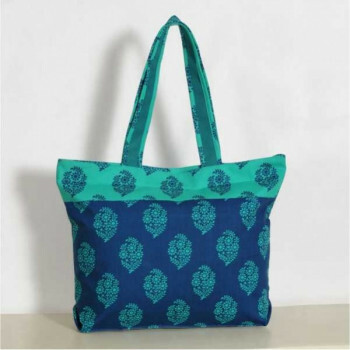 Bring out your style as you go out shopping carrying these beautiful bags. Designed according to the current trend, they comprise of fascinating colors and exotic prints which will make you feel glamorous. 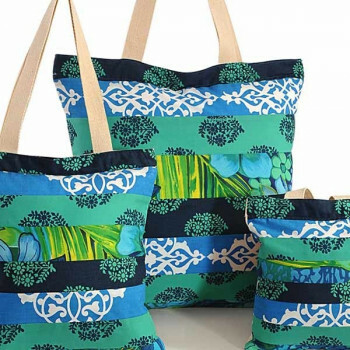 This combo bag set will help you carry your things in style wherever you go. 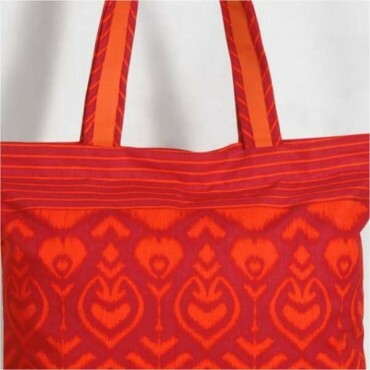 Experts design these bags with appliqué work which looks amazing. Go out and display your fabulous style to the world. Make your fashion sense unique and walk around the city with confidence looking beautiful. 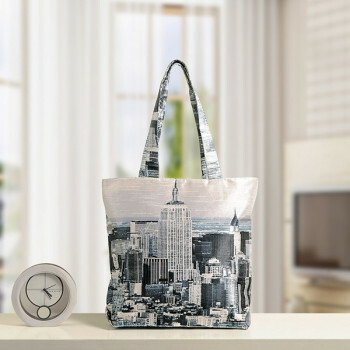 You can develop your own style with the help of attractive bags. Bags have the ability to enhance the look of your outfit and they are even more effective when they are brilliantly colored. 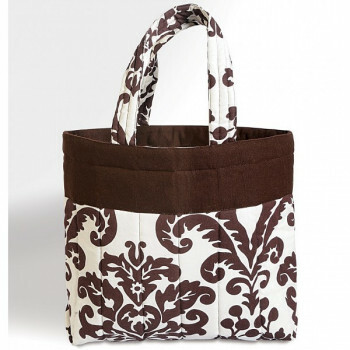 Put on your favorite dress and carry these bags to look fashionable. They are made according to the modern trend therefore they are designed in bright colors. 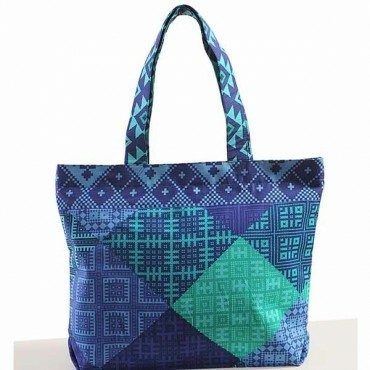 You will see a change in your styling sense and your confidence as you carry this beautiful bag. 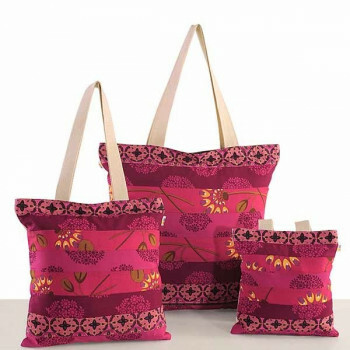 As girls love vibrant colors, these bags are designed in shade of pink which look brilliant. 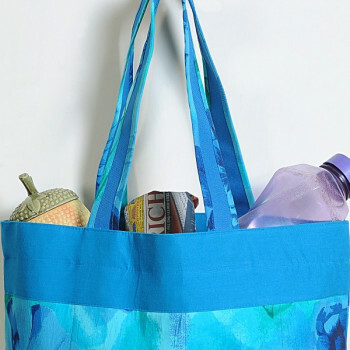 Be it a trip to the convenience store or the vegetable market or even fruit shop, you ought to have a shopping bag and not multiple plastic bags! 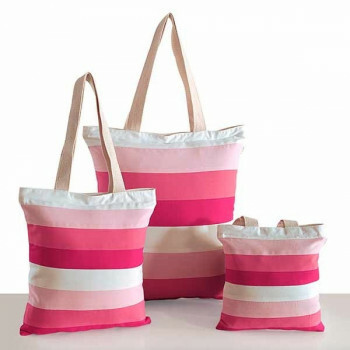 Grab our Pink Shopping bag which is designed especially to hold any heavy materials and give your shoulder a comfortable feel at the same time. 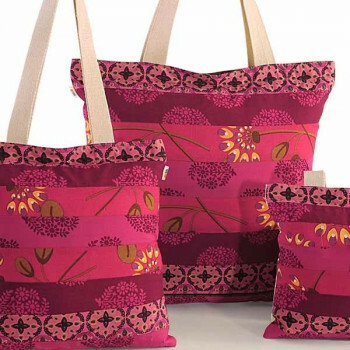 It’s time we save our environment and stop using paper or plastic bags and switch to cloth bags. 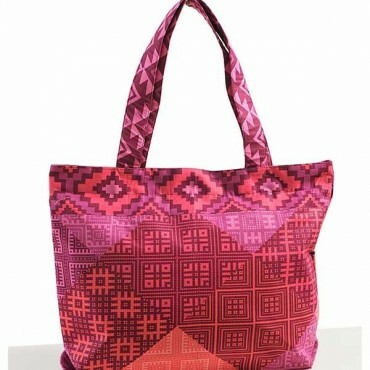 And Swayam have this perfect bag for you. 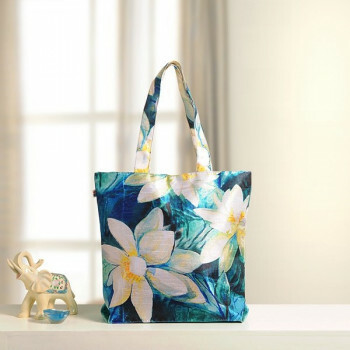 In magical Azure blue and dazzling flower, our Azure Shopping bag is nothing but gorgeous. Not just that, our product is sturdy to hold heavy materials. Scarlet red roses against a white background- it is an absolute sight! 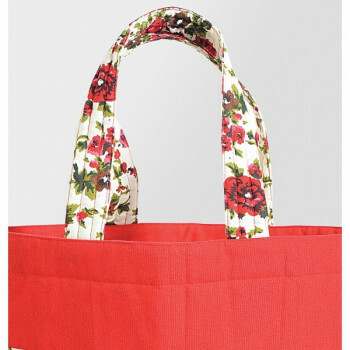 Incorporating this striking combo, Swayam designers bring to you Roses Shopping Bag. 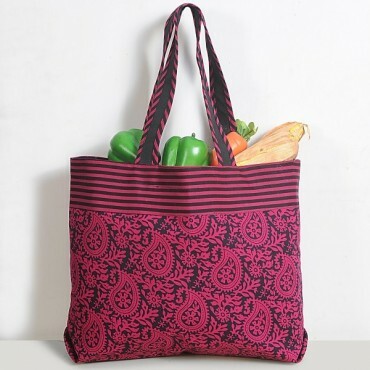 Now you can do your grocery shopping in style. 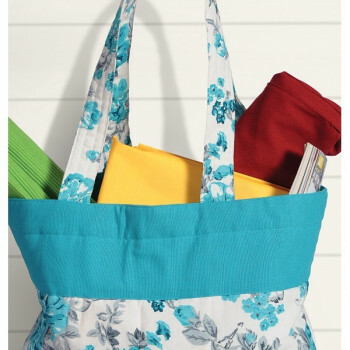 With a sturdy handle attached to the bag, you can carry as much as the bag can accommodate. 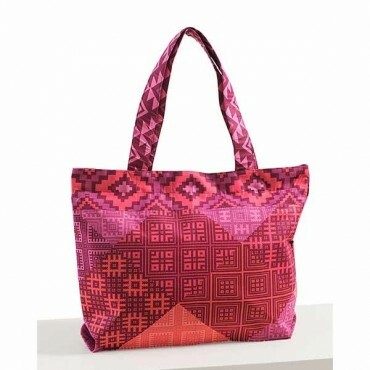 In beautiful and creative motifs, our Fuchsia Shopping Bag is here to help make your shopping lighter and more convenient. Why use paper bags when you can conveniently carry everything in one bag? 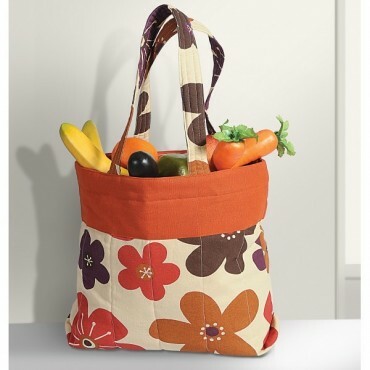 With a sturdy and exquisitely stitched handle, you can heavy objects conveniently. 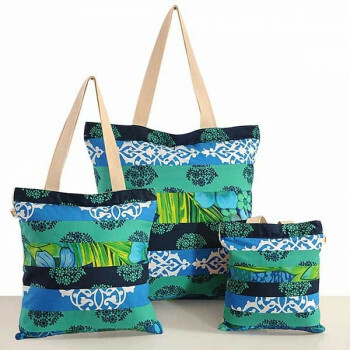 Get ready to hold everything with ease, as you don’t have to juggle with different paper bags with these cool and stylish shopping bags. Create no fuss while you shop as everything fits seamlessly in the spacious space provided by the bag. 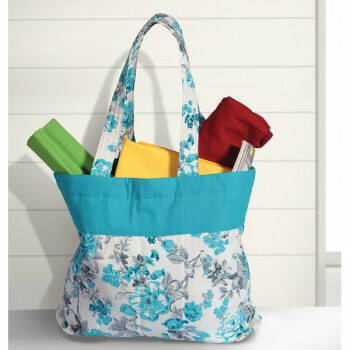 Just grab the handles of the bag and take it anywhere you like. This orange beauty is really admirable, you can bring this beauty to your home. Life is too short to brood about so whatever we do, let’s do it in style and grandeur. 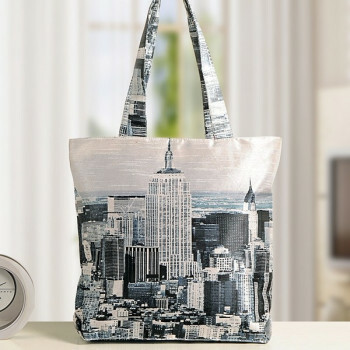 Wherever and whatever it is you shop, carry the best & stylish bag. 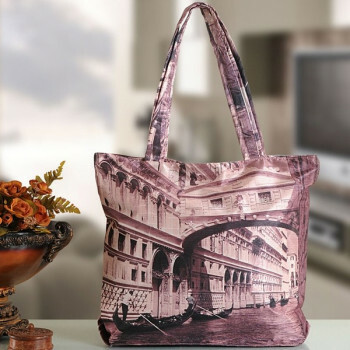 And for this reason, we have designed shopping bags in great designs that are not just elegant but also very convenient. 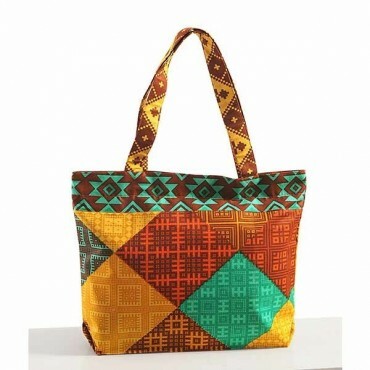 Our Chocó Shopping Bag is very pleasant to look at with that warm and delicious feel of chocolates. 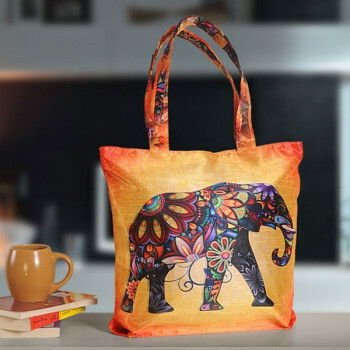 If you have a love for the shopping bags and want a colorful stuff for yourself, then we are here, bringing you this beautiful bag that can fulfill all your desires. 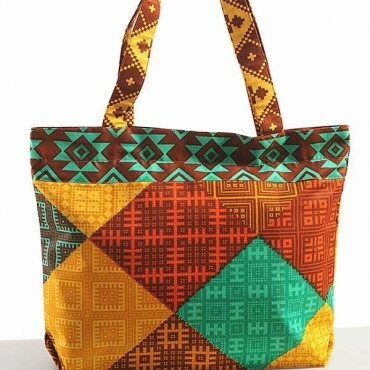 There are rarely such bags which have so beautiful and colorful appearance. This unique pink color is just the perfect thing for the ladies. Designed especially for the girls, they have the class and glamour for which you dream about. This amazing magenta color can fill you with the glory and can make your shopping experience much more lovely and beautiful. You do not have to keep your styling on the side while you go for grocery shopping. 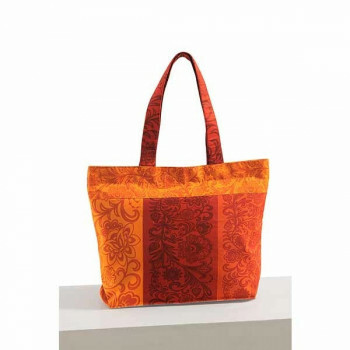 Take shopping to high new level by sporting our comfortable and floral Orange Shopping Bag. 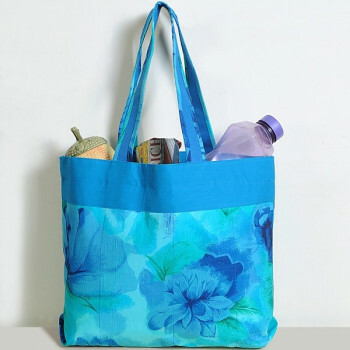 You can easily grab our shopping bag if you are going for grocery shopping (or even making a trip to the book store) as it has a sturdy handle that will not break even on carrying heavy materials. 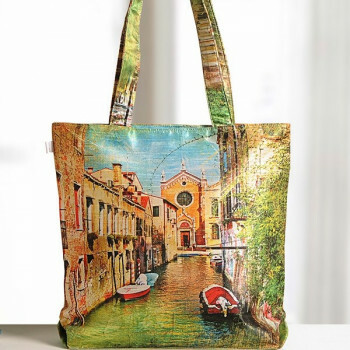 Who said your grocery bags have to be a utility bag and can’t be stylish, well whomsoever did never saw these fashionable shopping bags. 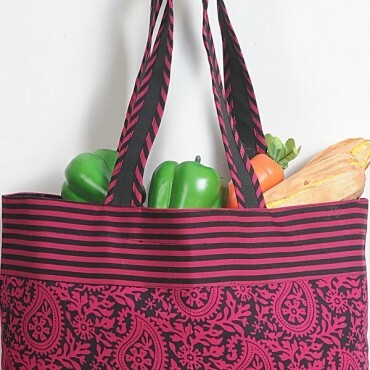 Now shop the market like never before with these trendy shopping bags, dabbed with traditional charm. They almost act like a second pair of hands as they hold on to almost every item, making it easy for you shop till you drop. 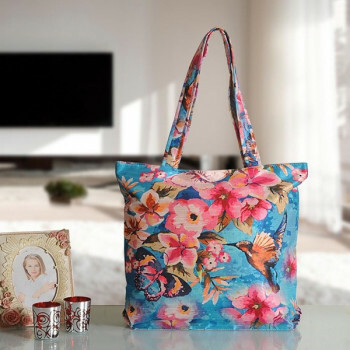 Inspire yourself with the beauty and the incense of flowers, all infused in this exclusively designed shopping bag for woman who never get tired of exploring their feminine side. 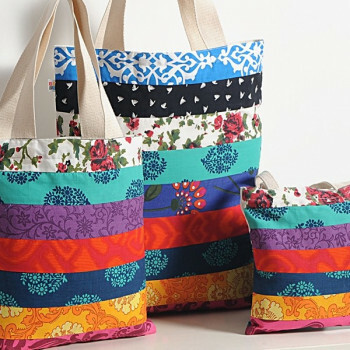 The lively colors of these bags will set your mood for shopping. After all, there is no point in wasting time and money to buy those dull looking bags which will make you look like a nerd. 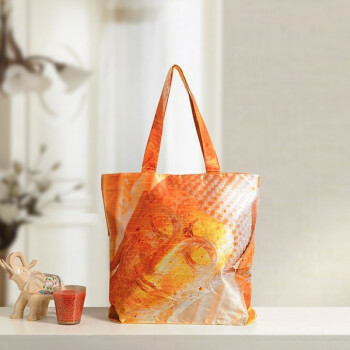 Hold everything with ease, as you don’t have to juggle with different paper bags with these cool shopping bags. Create no fuss while you shop as everything fits seamlessly in the spacious space provided by the bag. 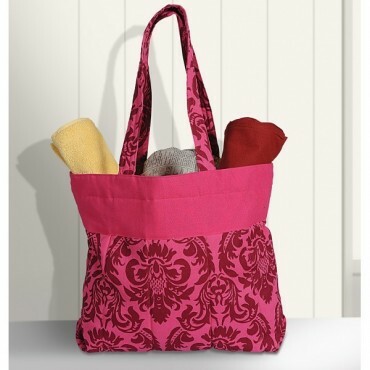 Grab the handles of the bag and take it anywhere you like. Sometimes shopping becomes tedious when we have too much to carry and different paper bags with some unfortunate bags tearing off/ slipping from your hand. 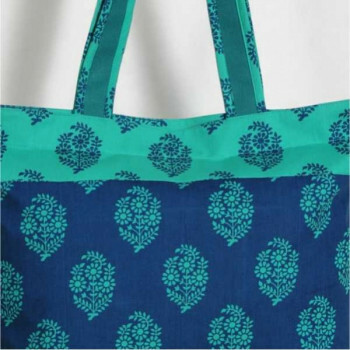 Swayam Designers have therefore designed a sturdy yet stylish shopping bag where you can shop comfortably and stylishly. With mix-match designs and solid colors, it is absolutely lovely. No one likes to carry weight on their shoulders especially when you are going out. It can be a problem and can tear down your good looks but not when you have these bags. 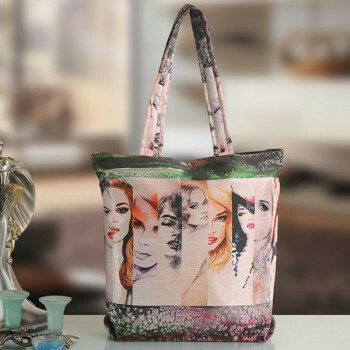 These bags are designs not to destroy your attractive looks but to enhance your dress. 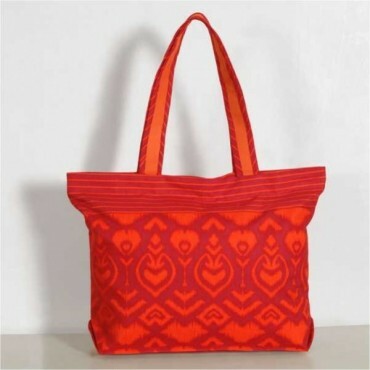 You will see a great change in your approach to fashion when you have this bag with you. 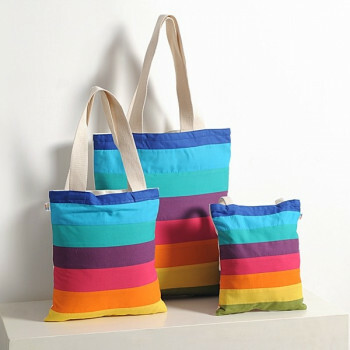 Call your friends and plan for an outing as now you have these bags to carry your belongings. 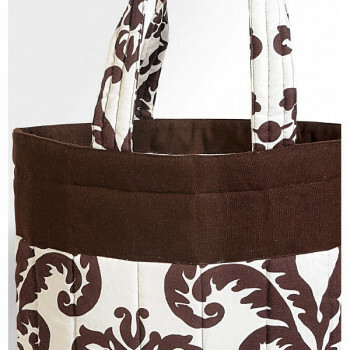 These bags will make you look fabulous as they are skin friendly and allergen free. 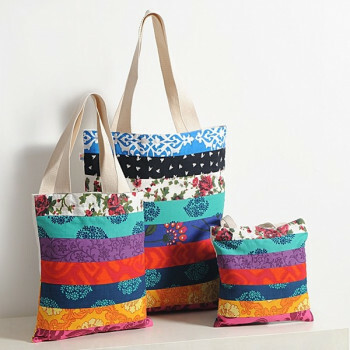 The lively colors of these bags will set your mood for shopping. 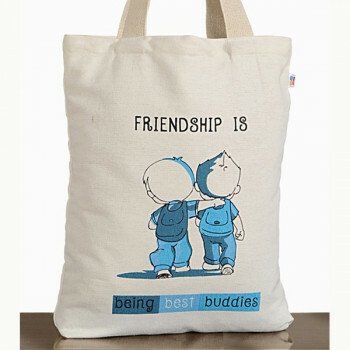 Buy best friends canvas graffiti bags from our shopping portal swayamindia.com and enjoy your time with your friends. 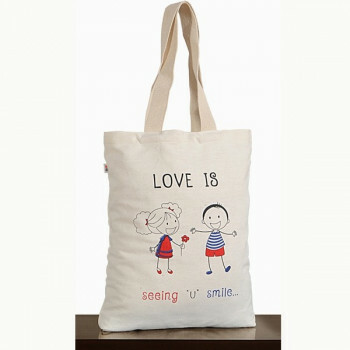 If you are looking for a gift to present to your loved one, nothing can get better than this bag. 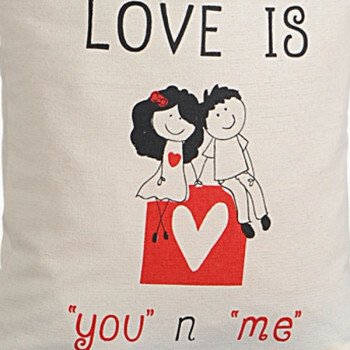 Designed in the concept of love and friendship, you friend will definitely appreciate your gift. 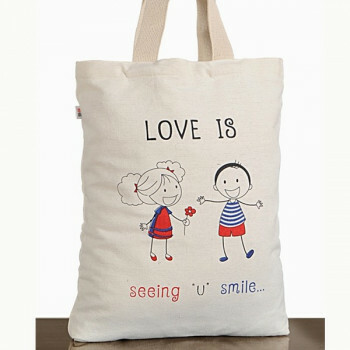 It is printed with a phrase “Love is seeing u smile” which really matters in love and friendship. Have a good time with your friends as they are the only people that will help you in every way. 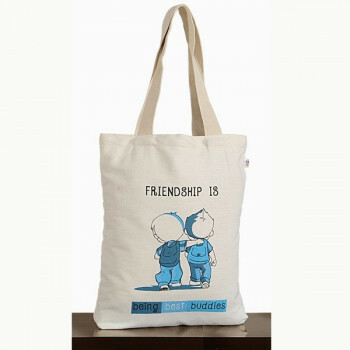 You can value the relation of friendship with these bags. 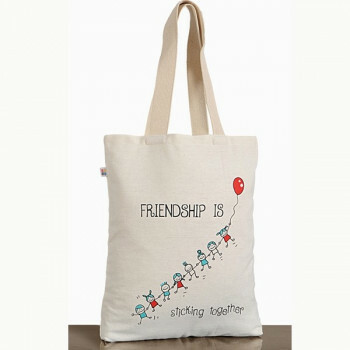 They are based on the theme of friendship to show what friendship is all about. 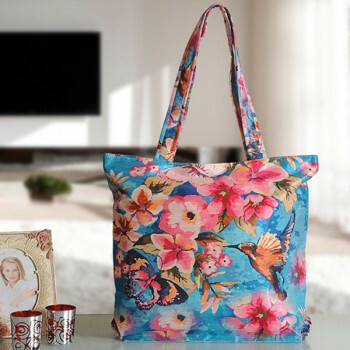 People nowadays are more into creative things and designs therefore many accessories like bags are also designed in the same concept. 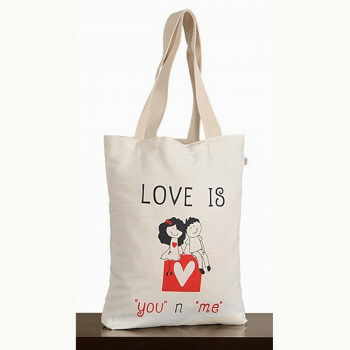 These bags are mainly designed for teenagers and youngsters as they are printed in cartoon designs. 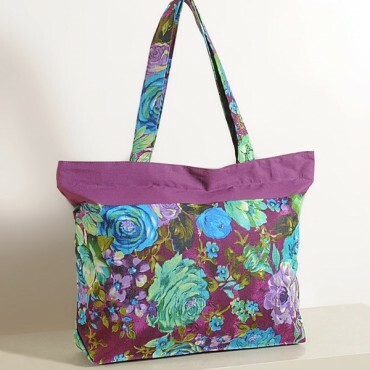 Not only teenagers but every woman will adore this bag as it has the looks to make your feel young again. 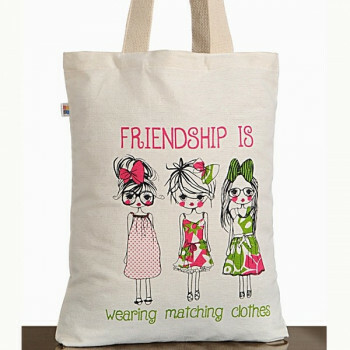 Friends can fill your life with fun and happiness, therefore to respect this relation bags are designed to describe its value. 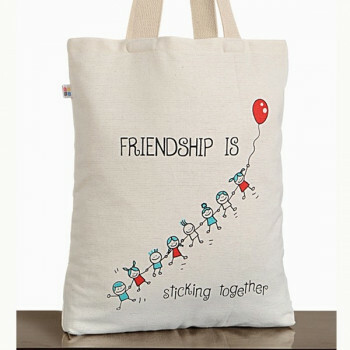 They are printed with two friends walking together with an arm across the shoulder of other which look very cute. 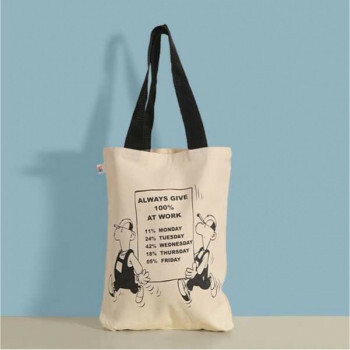 Designed with a cartoon theme, these bags look simple but attractive.